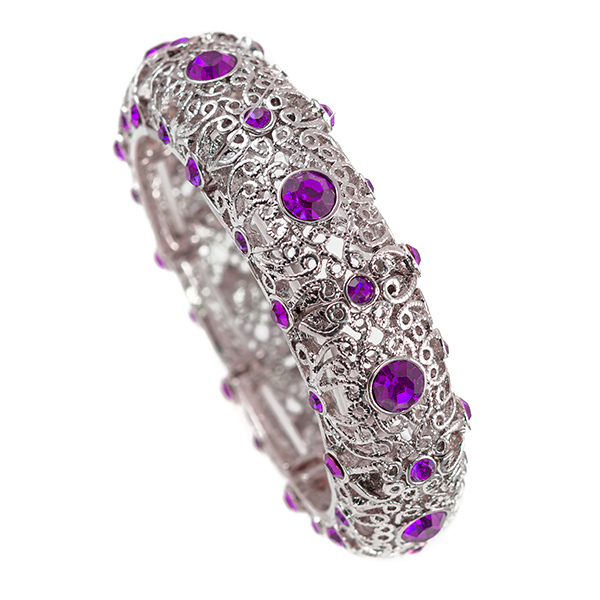 This stylish chunky Dark Amethyst Austrian Crystal braclet is 1 and a half inches with. 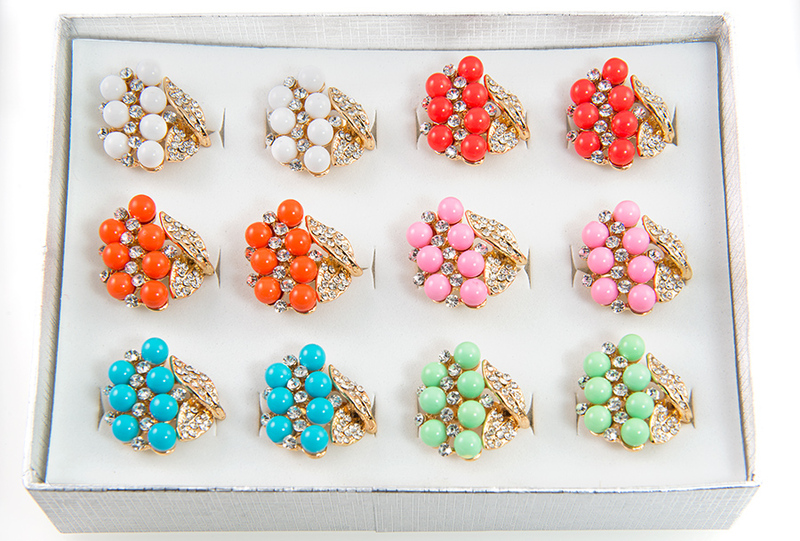 Available in additional colors. 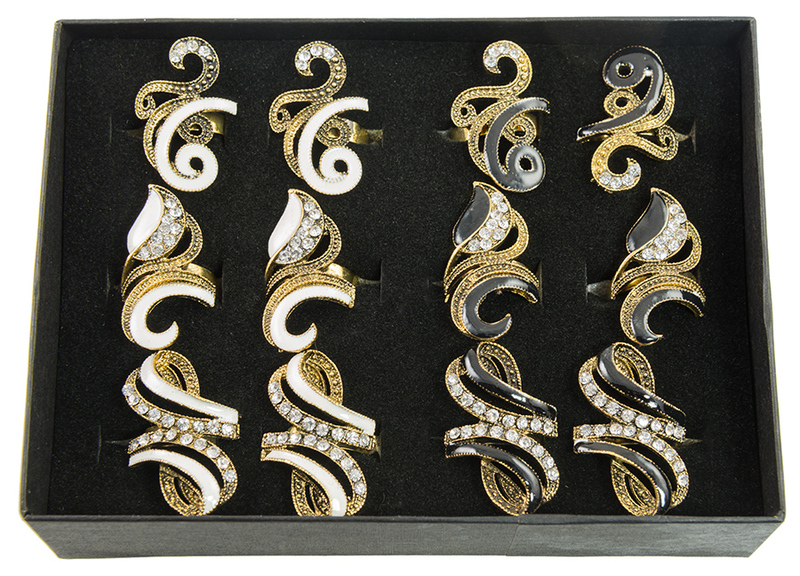 This fun assortment of Black and White Rings set with Rhinestones. 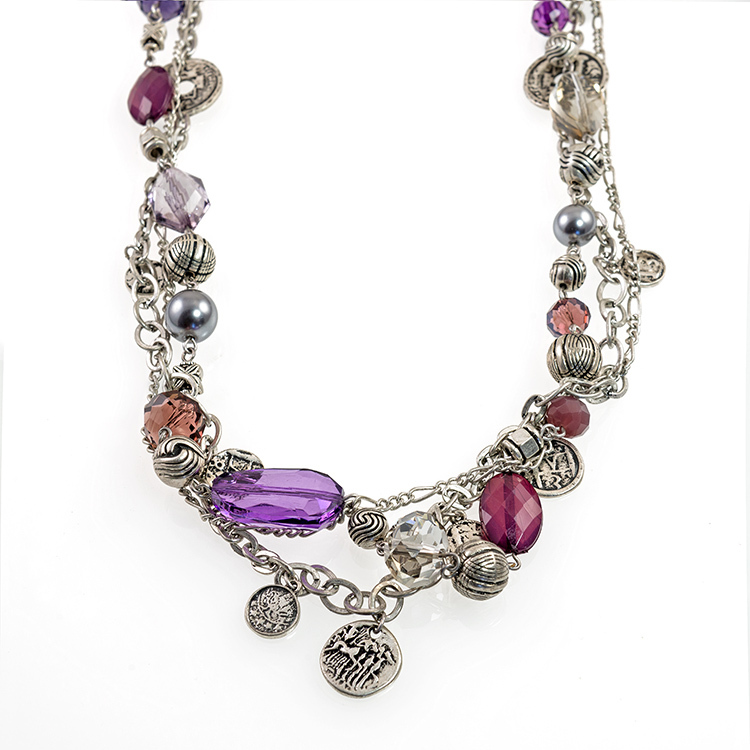 Comes Boxed and are presorted and all rings are adjustable. 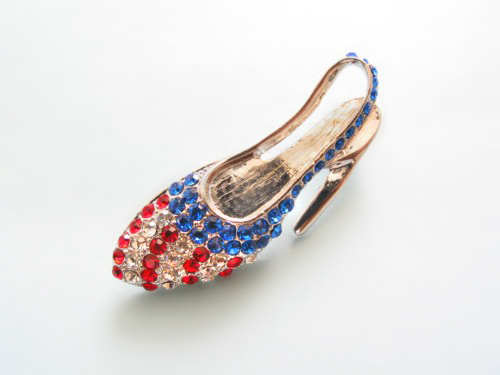 This fun Austrian Crystal Red, White, and Blue High heel pin is a real I catcher. Great pin to Promote The USA or Great Britain.